Christmas is an annual festival, commemorating the birth of Jesus Christ, observed primarily on December 25 as a religious and cultural celebration among billions of people around the world. 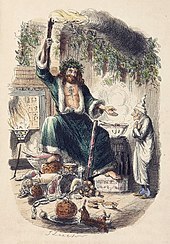 A feast central to the Christian liturgical year, it is preceded by the season of Advent or the Nativity Fast and initiates the season of Christmastide, which historically in the West lasts twelve days and culminates on Twelfth Night; in some traditions, Christmastide includes an octave. Christmas Day is a public holiday in many of the world's nations, is celebrated religiously by a majority of Christians, as well as culturally by many non-Christians, and forms an integral part of the holiday season centered around it. 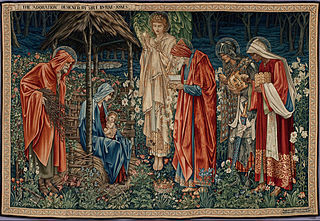 In Eastern Christianity the birth of Jesus was celebrated in connection with the Epiphany on January 6, which date emphasized the celebration of the baptism of Jesus. 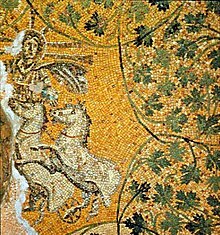 Christmas was promoted in the Christian East as part of the revival of Nicene Christianity following the death of the pro-Arian Emperor Valens at the Battle of Adrianople in 378. 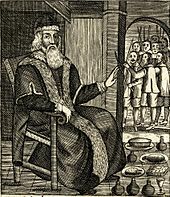 The feast was introduced in Constantinople in 379, in Antioch by John Chrysostom towards the end of the fourth century, probably in 388, and in Alexandria in the following century. The feast disappeared after Gregory of Nazianzus resigned as bishop in 381, although it was reintroduced by John Chrysostom in about 400. Even in the West, January 6 as the celebration of the nativity of Jesus seems to have continued until after 380. Biblical reference (Luke 2:8-20) to shepherds watching their flocks at the time of Jesus's birth suggests that it did not occur during winter, when the sheep probably would have been corralled. 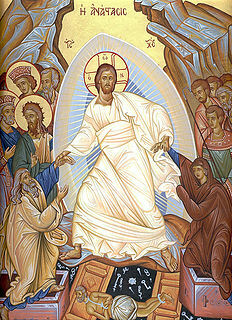 We ought to celebrate the birth-day of our Lord on what day soever the 25th of December shall happen. For the first advent of our Lord in the flesh, when he was born in Bethlehem, was December 25th, Wednesday, while Augustus was in his forty-second year, but from Adam, five thousand and five hundred years. He suffered in the thirty-third year, March 25th, Friday, the eighteenth year of Tiberius Caesar, while Rufus and Roubellion were Consuls. Various factors contributed to the selection of December 25 as a date of celebration: it was the date of the winter solstice on the Roman calendar; it was about nine months after March 25, the date of the vernal equinox and a date linked to the conception of Jesus. ^ a b c d e f g Martindale, Cyril Charles (1908). "Christmas". The Catholic Encyclopedia. 3. New York: Robert Appleton Company. ^ Hastings, James; Selbie, John A., eds. (2003). Encyclopedia of Religion and Ethics. 6. Kessinger Publishing Company. p. 605. ISBN 978-0-7661-3676-2. Retrieved February 3, 2012. ^ "Bible Gateway passage: Luke 2:8-20 - New International Version". ^ "Five myths about the Nativity". The Washington Post. Retrieved December 18, 2018. ^ "When Was Jesus Born?". ^ "Why December 25?". Archived from the original on January 4, 2015. ^ Tucker, Karen B. Westerfield (2000). "Christmas". In Hastings, Adrian; Mason, Alistair; Pyper, Hugh. The Oxford Companion to Christian Thought. Oxford University Press. p. 114. ISBN 978-0-19-860024-4. 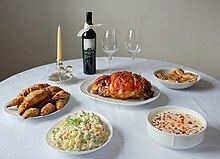 Christmas in Poland is a major annual celebration, as in most countries of the Christian world. 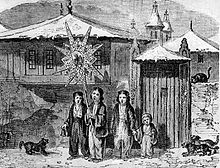 The observance of Christmas developed gradually over the centuries, beginning in ancient times; combining old Polish pagan customs with the religious ones introduced after the Christianization of Poland by the Catholic Church. Later influences include mutual permeating of local traditions and various folk cultures. It is one of the most important religious holidays for Poles, who follow a somewhat strict traditional custom. 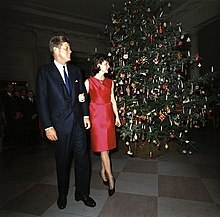 Christmas trees are decorated and lit in family rooms on the day of Christmas Eve. Other trees are placed in most public areas and outside churches. Christmas in Poland is called "Boże Narodzenie", which translates to 'God's Birth'. Las Posadas is a novenario celebrated chiefly in Latin America, Mexico, Guatemala, Cuba, and by Hispanics in the United States, beginning 16 December and ending 24 December. Las Posadas is celebrated by Latinos and Spaniards and people who appreciate the culture and holiday of the Mexican and Spanish. 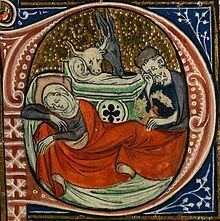 The nativity of Jesus or birth of Jesus is the basis for the Christian holiday of Christmas and is described in the gospels of Luke and Matthew. 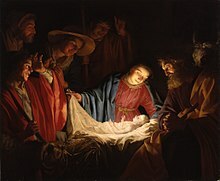 The two accounts differ, but agree that Jesus was born in Bethlehem in Judea during the reign of King Herod the Great, his mother Mary was married to a man named Joseph, who was descended from King David and was not his biological father, and that his birth was caused by divine intervention. Luke's version says the birth took place during a Roman census, mentions an announcement to shepherds by angels, presentation of Jesus in the Temple, and gives the name of the angel who announces the coming birth to Mary. Matthew's version mentions the arrival of the Magi, the flight into Egypt by the family, and the Massacre of the Innocents by King Herod. The consensus of scholars is that both gospels were written about AD 75-85, and while it is possible that one account might be based on the other, or that the two share common source material, the majority conclusion is that the two nativity narratives are independent of each other. Christmastide is a season of the liturgical year in most Christian churches. 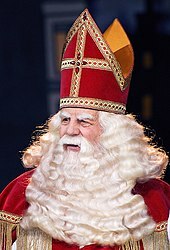 In some Christian denominations, Christmastide is identical to Twelvetide, a similar concept. Twelfth Night is a festival in some branches of Christianity that takes place on the last night of the Twelve Days of Christmas, marking the coming of the Epiphany. Different traditions mark the date of Twelfth Night on either 5 January or 6 January, depending on which day one considers to be the first of the Twelve Days: 25 or 26 December. Epiphany, also Theophany, Denha, Little Christmas, or Three Kings' Day, is a Christian feast day that celebrates the revelation of God incarnate as Jesus Christ. 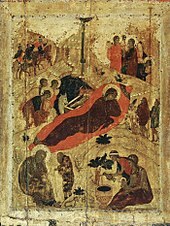 In Western Christianity, the feast commemorates principally the visit of the Magi to the Christ Child, and thus Jesus' physical manifestation to the Gentiles. Moreover, the feast of the Epiphany, in some Western Christian denominations, also initiates the liturgical season of Epiphanytide. 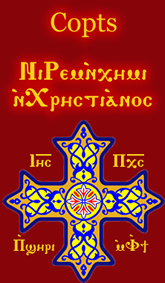 Eastern Christians, on the other hand, commemorate the baptism of Jesus in the Jordan River, seen as his manifestation to the world as the Son of God. Qasr el Yahud in the West Bank, and Al-Maghtas in Jordan on the east bank, is considered to be the original site of the baptism of Jesus and the ministry of John the Baptist. Saint Lucy's Day, also called the Feast of Saint Lucy, is a Christian feast day celebrated on 13 December in Advent, commemorating Saint Lucy, a 3rd-century martyr under the Diocletianic Persecution, who according to legend brought "food and aid to Christians hiding in the catacombs" using a candle-lit wreath to "light her way and leave her hands free to carry as much food as possible". Her feast once coincided with the Winter Solstice, the shortest day of the year before calendar reforms, so her feast day has become a Christian festival of light. Falling within the Advent season, Saint Lucy's Day is viewed as an event signaling the arrival of Christmastide, pointing to the arrival of the Light of Christ in the calendar, on Christmas Day. Christmas traditions vary from country to country. Christmas celebrations for many nations include the installing and lighting of Christmas trees, the hanging of Advent wreaths, Christmas stockings, candy canes, setting out cookies and milk, and the creation of Nativity scenes depicting the birth of Jesus Christ. 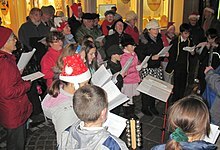 Christmas carols may be sung and stories told about such figures as the Baby Jesus, St Nicholas, Santa Claus, Father Christmas, Christkind or Grandfather Frost. 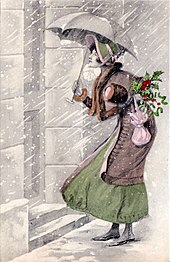 The sending and exchange of Christmas card greetings, observance of fasting and special religious observances such as a midnight Mass or Vespers on Christmas Eve, the burning of a Yule log, and the giving and receiving of presents. 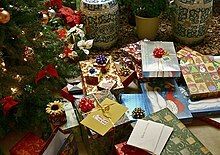 Along with Easter, Christmas is one of the most important periods on the Christian calendar, and is often closely connected to other holidays at this time of year, such as Advent, the Feast of the Immaculate Conception, St Nicholas Day, St. Stephen's Day, New Year's, and the Feast of the Epiphany. Christmas is the Christian celebration of the birth of Jesus Christ held annually on 25 December. Through its multi-century history, it has been the subject of several reformations, both religious and secular. Weihnachten is the observance of what is commonly known in English as Christmas Eve in the German-speaking countries like Germany, Austria and Switzerland. It is also widespread in countries with a German-speaking minority, such as Transylvania in Romania, South Tyrol in Italy, Eupen in Belgium, and various diasporas such as the German Brazilian and German American communities. 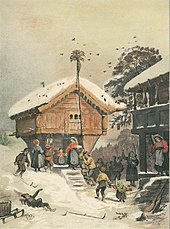 Traditions of Weihnachten influenced Christmas and Advent culture throughout the world. Germans celebrated Christmas, but in Nazi Germany, attempts were made to bring the celebration of Christmas in line with Nazi ideology. The Jewish origins of Jesus and the commemoration of his birth as the Jewish Messiah was troubling for some members of the Nazi group and their racial beliefs. 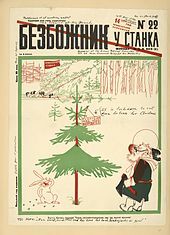 Between 1933 and 1945, government officials attempted to remove these aspects of Christmas from civil celebrations and concentrate on cultural pre-Christian aspects of the festival. However, church and private celebrations remained Christian in nature. 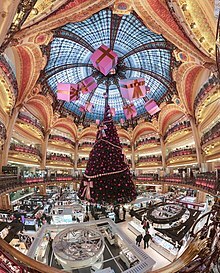 Christmas in Mexico is celebrated during a season that begins near December 12 to January 6, candlemas on February 2. During this entire time, one can see nativity scenes, poinsettias and Christmas shoes. The season begins with celebrations related to the Virgin for life, the patroness of Mexico, followed by traditions such as Las Posadas and pastorelas.